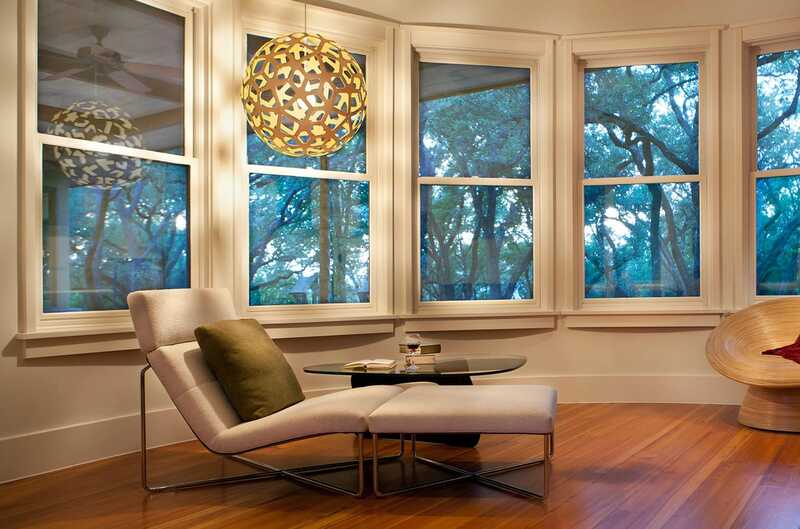 Don’t be afraid to dream BIG when it comes to lighting, especially with regard to chandeliers and pendants. 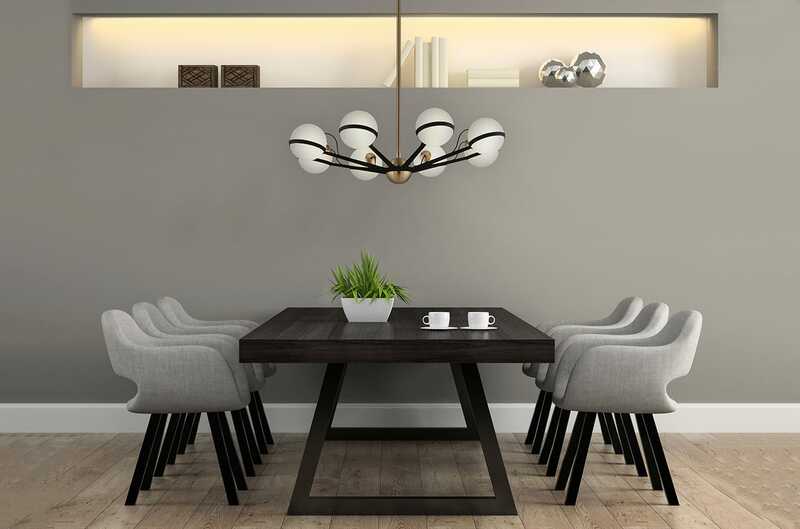 These fixtures are commonly built to be centerpieces of an entire living space, so it is important to consider their size when dressing your décor. Here are 10 favorites that show bigger = better. 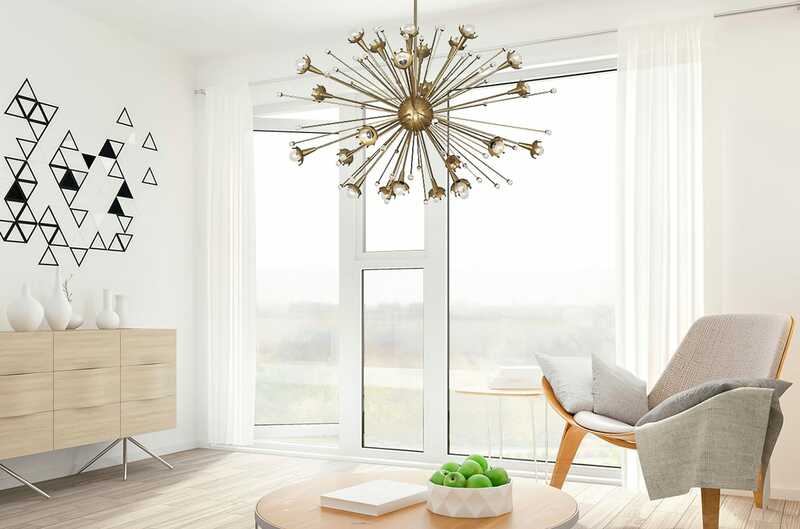 Suspended overhead like a veritable starburst, the Sputnik Chandelier’s iconic mid-century modern design is enhanced the farther its body expands (the large size is 48 inches wide!). 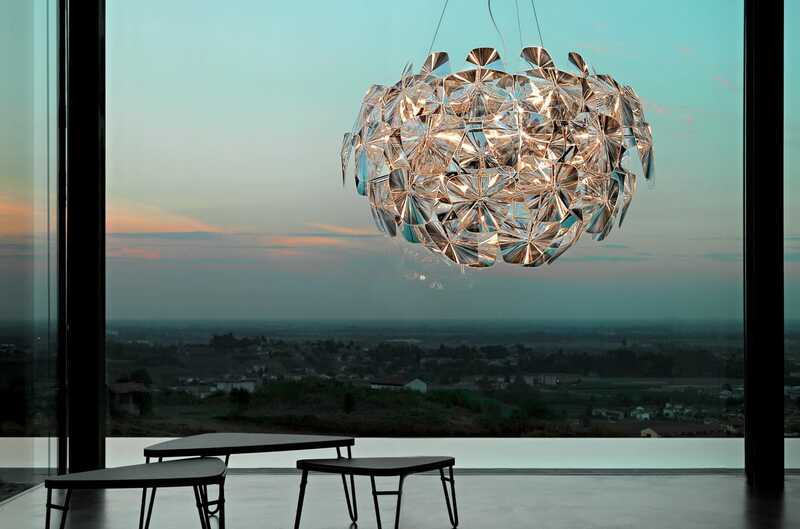 While visually captivating, its large size ensures a more even displacement of sparkling crystals and glowing bulbs. No doubt a supernova of style for any open living space. Luceplan’s flagship fixture provides a luxurious, diamond-like display that grows in elegance as its size increases. The largest version (43 inches in diameter) offers the most complex assortment of polycarbonate prismatic lenses which refract light in a symphony of grace and indulgence. Expansive by design, the Crown Major Chandelier offers several tiers of die-cast aluminum arms dotted with opal white diffusers. 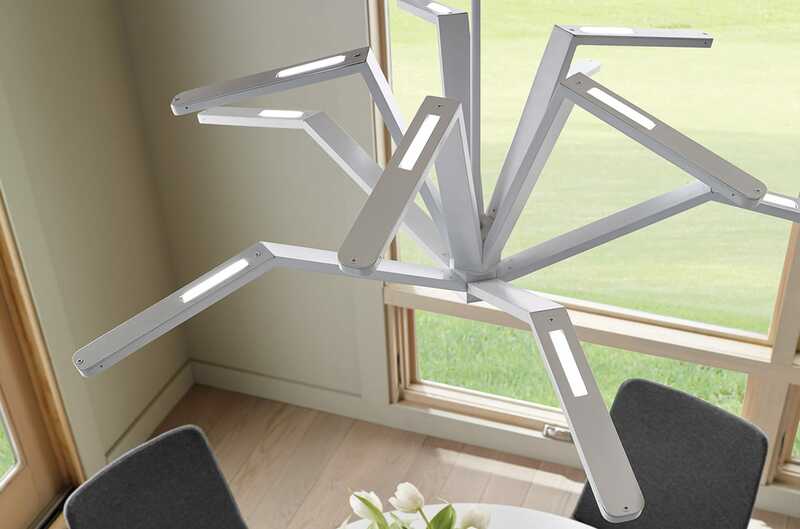 This allows for a warm, evenly dispersed light which plays well off the available metallic-based finishes. At 45 inches wide, this is a sizable showstopper for a variety of open living spaces. Size doesn’t necessarily equate to spectacle. 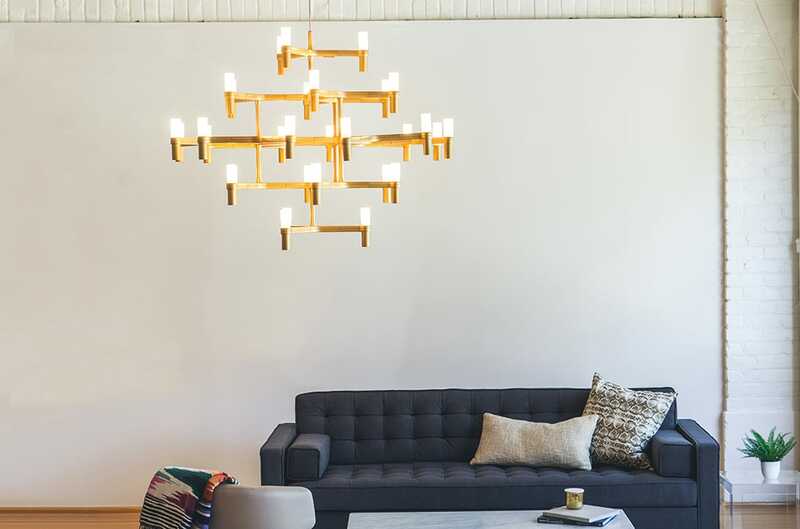 In fact, pieces like Troy Lighting’s Ace Chandelier bring a clean, out-of-the-way presence that can captivate without cluttering. The design goes up to a 50-inch width, with upturned opal glass shades that keep lighting soft and pleasant while accenting its meticulous detailing. Tech Lighting provides the next step in chandelier evolution with the Aragon and its 38-inch diameter. Appropriately named, this piece is a hydra of adjustable LED lights which can bend and extend for more convenient coverage. Its unique blend of modern function and medieval-inspired design gives it a formidable presence in any contemporary living space. The Coral Pendant captures the vastness of the ocean in its design, featuring a large sphere of interlocking starfish-shaped plywood pieces. It spaciousness allows light from a single exposed bulb to radiate through the structure, casting shadows that have a flowing, organic feel. Plus, there’s incredible versatility in the design’s range of sizes, which goes all the way up to 63 inches. With grand, sweeping strips of handcrafted iron, the Calligraphy Pendant creates a fluid silhouette that can enliven any setting. Its extra-large version (42 inches in diameter) reflects more light than its smaller counterparts, providing a dynamic, sophisticated ambiance that few can ignore. 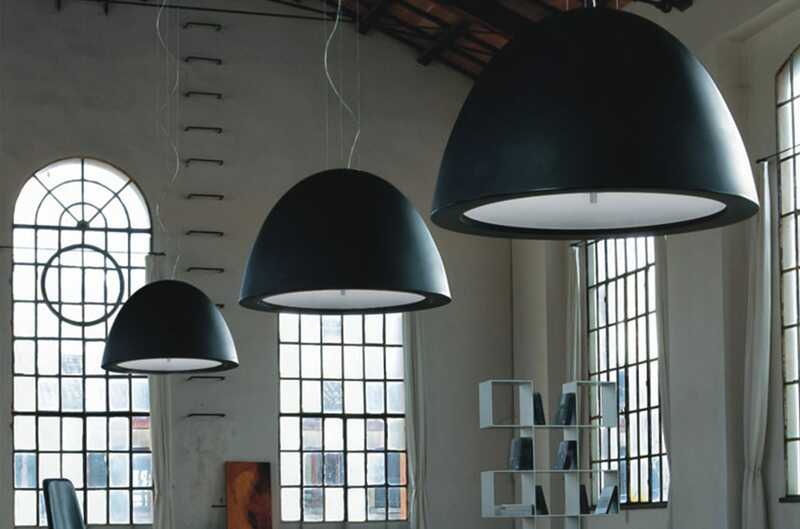 The Mos Pendant has a commanding presence with its multi-tiered rendition of the classic paper lantern. Its hand-wrapped ribbon exterior surrounds several light sources, producing a soft, ambient glow that really sets the mood—and makes a statement—with a beastly size of nearly 3 feet by 4 feet. 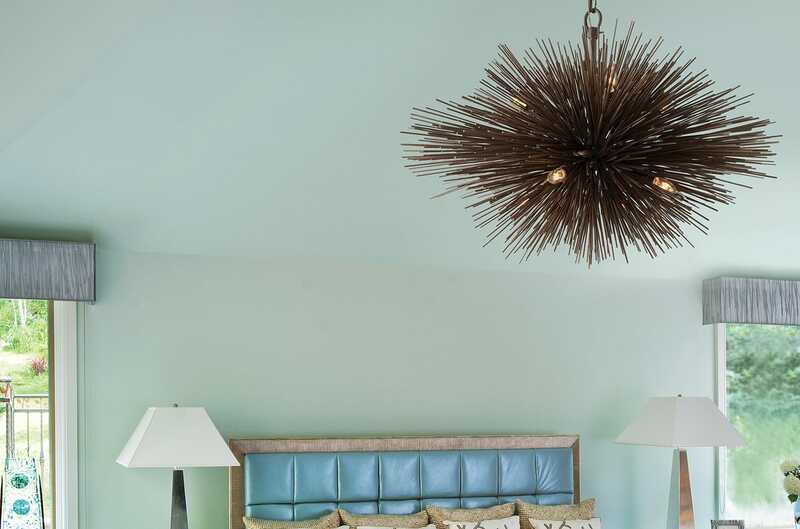 Reminiscent of a sea urchin, the Uni Pendant can make a splash in any living space with its expansive array of hand-worked wrought iron spines and exposed candelabra lamping. Each spine reflects the warm lighting beautifully, creating an organic, lifelike representation of its namesake. 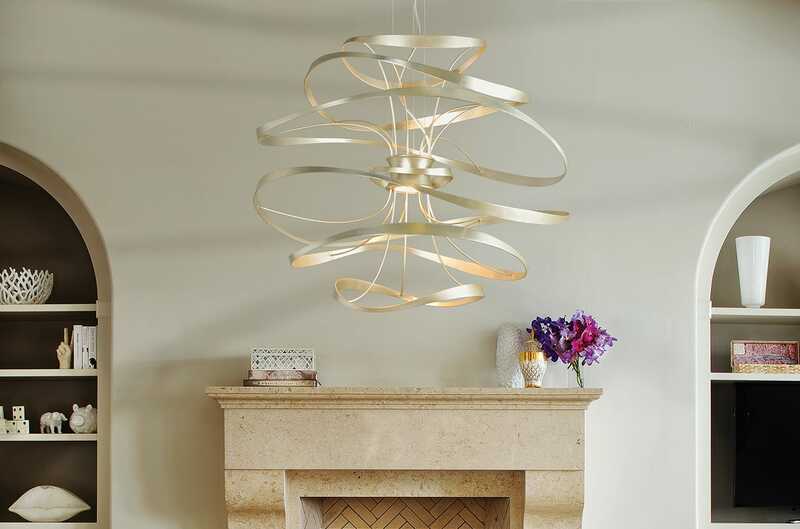 The classic parabola pendant has been supersized with the Willy 100 Pendant by Zaneen. This fixture is simply enormous, boasting nearly 40 inches in diameter with a wide glass diffuser that caps the bottom. By virtue of its size alone, the coverage is significantly more extensive, offering a pool of light that can singlehandedly cover an entire table or surface.